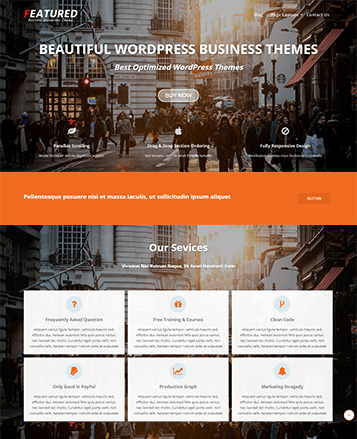 This parallax theme comes with all essential features which are required to create all type of business websites (Agency, Interior, eCommerce etc). 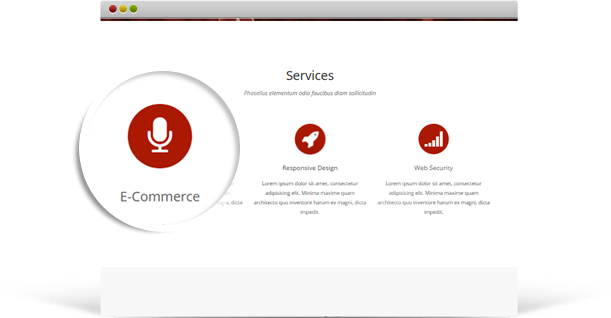 This theme is beautiful looking, fast loading, optimized for search engine, packed with lots of feature. 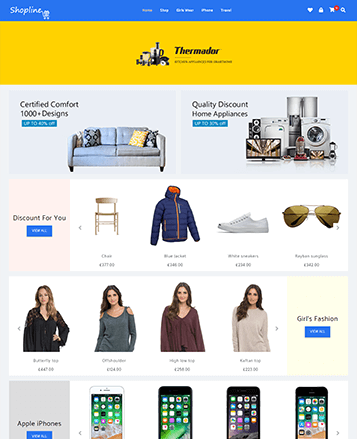 Features like Section Ordering, Section Hide Option, All Section Styling, Unlimited Custom Section, Woocommerce Compatibility, Unlimited color Option, RTL Support, Hero Background Slider and so on. We are also providing amazing child theme, each child theme carries different functionality. Using section order feature you can easily change the order of section on home page. 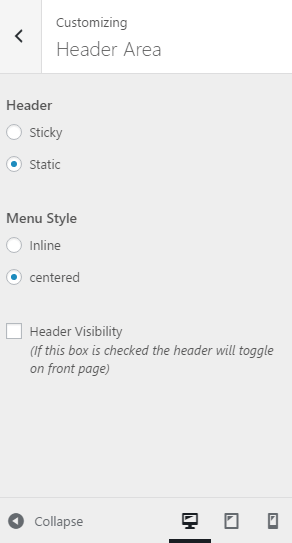 You can set the Header and Menu style. You can select the options through the radio buttons and You can also choose the header visibility by clicking on the check box. Here You can add six different slider images. You can set the slider speed and can add slider background image, video, Heading, Description, and Link. You can also set the color of Heading, sub-heading. 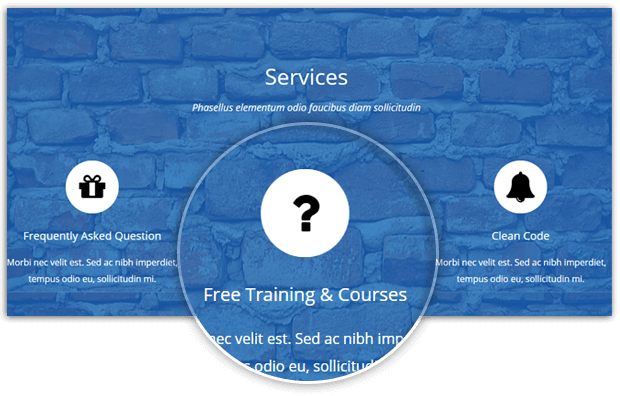 Display Your key services at front page with the help of service section. You can add unlimited number of services using drag and drop widgets. Each service widget contain color options for icon and text. NovelPro also provides to show latest blog post on home page. With which visitor will be continuously updated with latest release or notes. 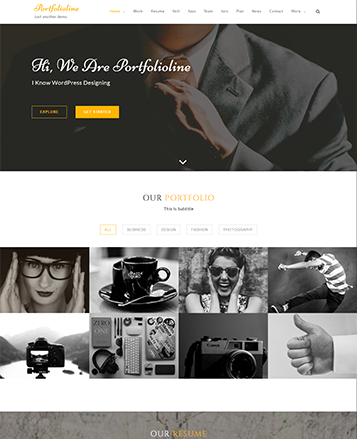 Showcase your work with the help of grid portfolio section. 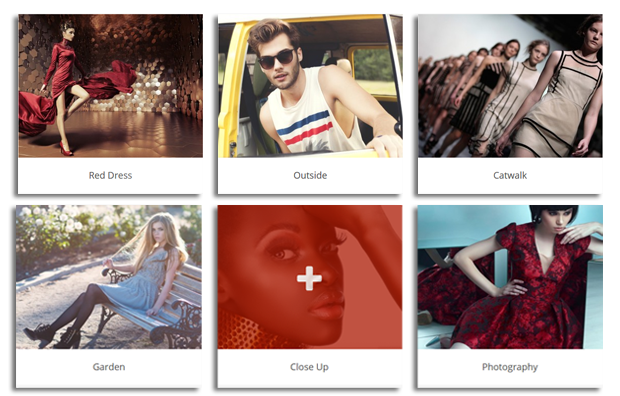 This section contain awesome lightbox view for featured images and title redirect you to the full portfolio page. 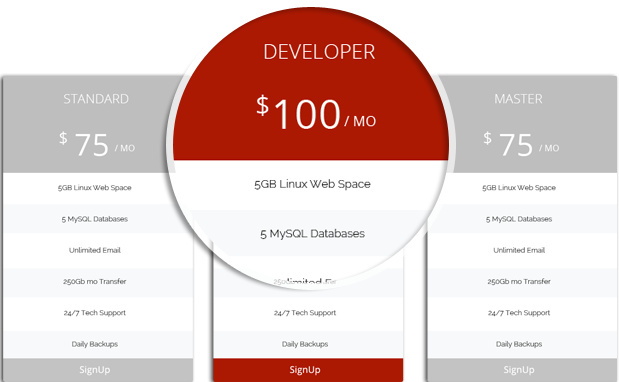 Display unlimited number of pricing plans with the help of east to use drag and drop widgets. You can change color of each plan according to your wish. 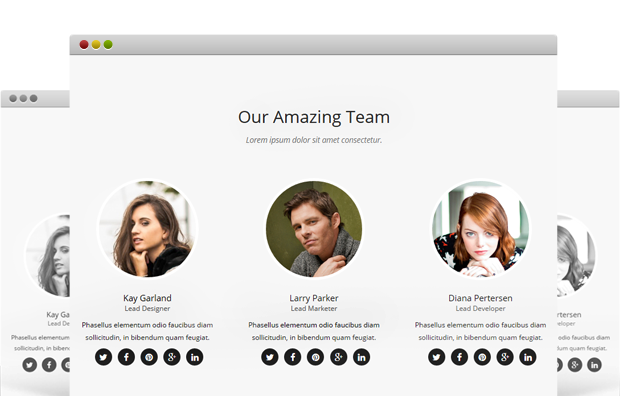 Display your awesome team members at the home page. You can add unlimited number of members with color options for each. 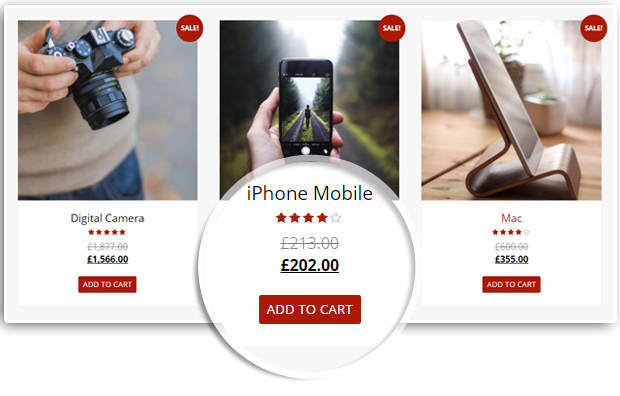 Products can also be shown on home page, which allow user to directly purchase product without entering to inner shop page. 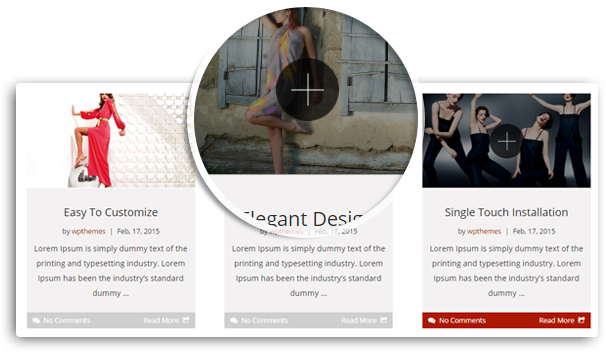 NovelPro testimonial section comes with image, description and users name. 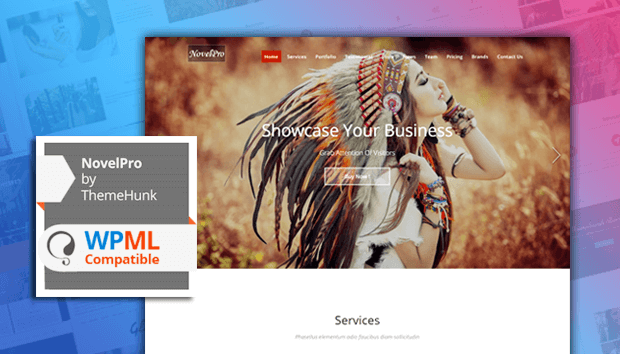 Showcase unlimited client testimonials with beautiful parallax Scrolling feature and color options for each. 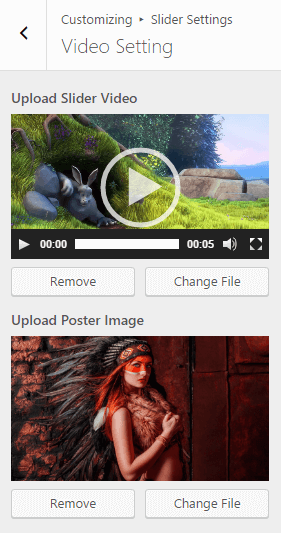 This section contain three background modes (Video, Image and Color). You can select the one you want. And a "Call To Action" button to redirect users to more detailed page. Feature your business partners or your own brands logo with link to the brand page.You can add unlimited number of brand logos. NovelPro provides contact us form on home page. Users can directly contact site owner using this form. 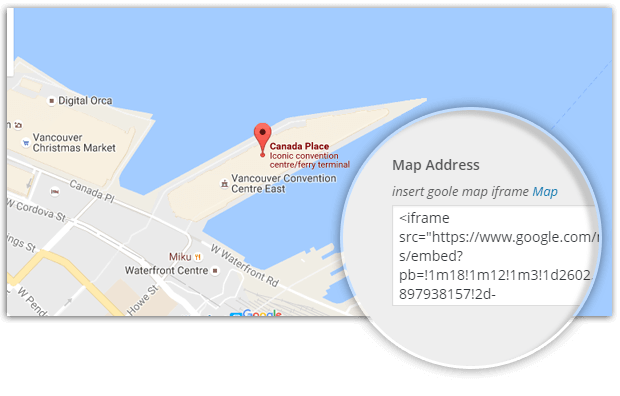 Display address in a map form at the home page with the help of this section. 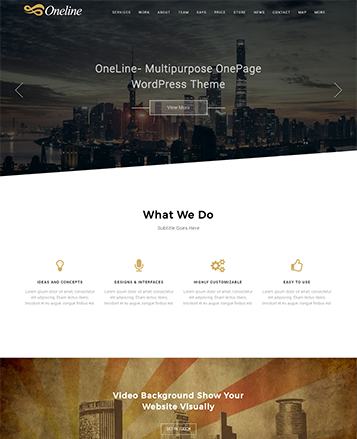 Theme contain background overlay option for each section. Set overlay color from customize panel and improve image visual quality. 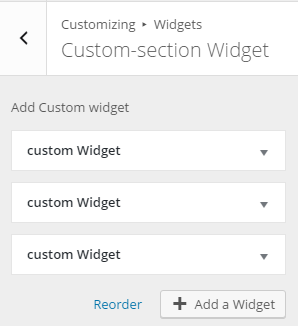 You can create unlimited number of sections with the help of "Custom Section Widget". 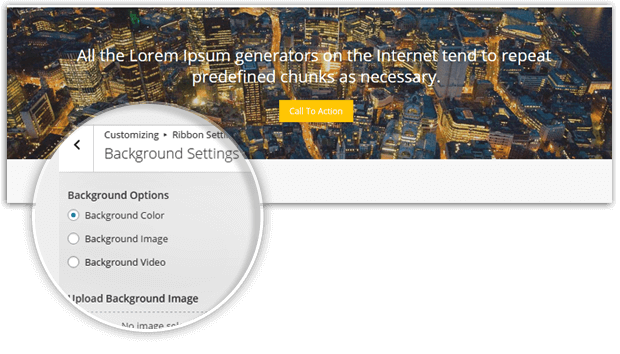 This widget contain option to add "Heading", "Subheading", "Description", "Section Background(Image, Color, Video)" and "Text color option". Unlimited color option is given in customize section. 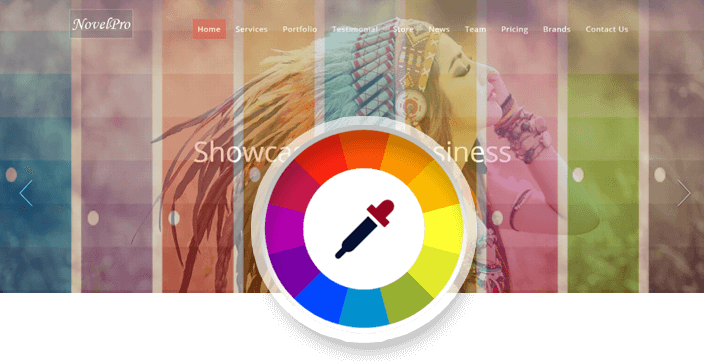 You can select your desired color which is best suited to your business/Blog. 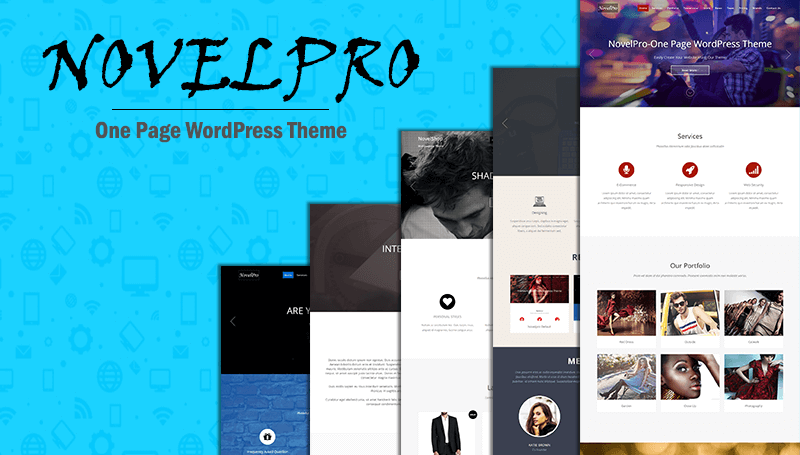 Theme is compatible with WPML plugin. Translate theme to your desired language.